GetALong Dachshund rescue is a Dachshund rescue serving Alabama, Arkansas, Delaware, Florida, Georgia, Illinois,​ ​Indiana, Kentucky, Louisiana, Maryland, Mississippi, Missouri, New Jersey, New Mexico, New York, North Carolina, Ohio, Oklahoma, Pennsylvania, South Carolina, Tennessee, Texas, Virginia, and West Virginia. 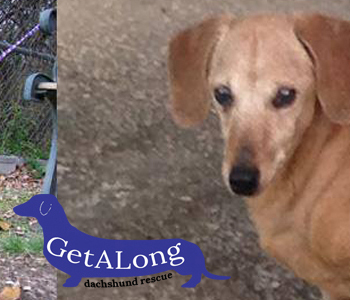 We step up for Senior Dachshunds and those with severe medical needs. We also rescue young dachshunds. Our main purpose is to rescue, rehabilitate and re-home our dachshunds in forever homes to live their lives in a safe loving environment.